The U.S.S. Discovery™ (NCC-1031), a 23rd century Crossfield-class ship, becomes one of the most important weapons in the war between the Federation and Klingons as the crew journeys across the galaxy. 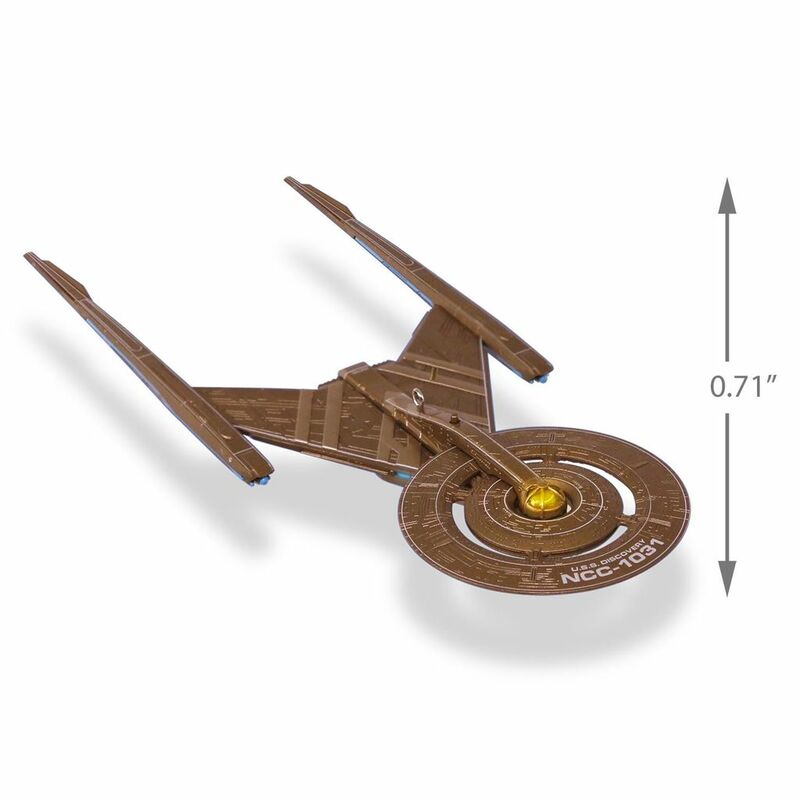 Based on the CBS All Access series "Star Trek: Discovery"—which transports viewers to a time before the familiar five-year mission of the original Star Trek™ series—this Christmas tree ornament features the namesake vessel that embraces the same ideology and intrepid legacy that has inspired generations. Battery-operated light feature includes three replaceable LR41 batteries. Plastic Christmas tree ornament is lead-free and measures 3.03" W x 0.71" H x 7.08" D.